Unlike the last two years, the room I’m moving into will be mine for long enough to settle in. After two great weeks of vacation, it’s on to the next step of initial formation: post-novitiate studies. (For those keeping score at home, you’ll remember that this is the third stage of initial formation as I discussed it back in 2011. If not, check it out here!) And so for the third time in three years, I packed up all of my belongings and moved into a new house with new people and new responsibilities. Of these new responsibilities, the most time-consuming, if not most important, will be attending school at The Catholic University of America. In order to be ordained a priest in the Catholic Church, something that I have discerned to be a call of mine, candidates are required to complete 30 credits of undergraduate philosophy and obtain a Master of Divinity (M.Div.) degree, among other things. Let’s just say that I’ve got a long way to go… The good thing is that I like school, and that I’m actually excited to get back in the classroom. As friars, there is much more to post-novitiate formation than academics, however. Along with our regular 12-15 credit course loads each term, we will be expected to work in a ministerial setting for roughly eight hours per week, including a bi-monthly supervision meeting and reflections. Supervised ministry such as this allows us an opportunity to apply the theology we learn in the classroom to real-life situations, as well as to gain crucial pastoral experience that simply cannot be learned in a classroom. As of yet we do not know where we will be assigned, but typical ministries include teaching religious education, youth ministry, or Catholic high school ministry; visiting hospitals, nursing homes, or prisons; direct assistance to the poor; and parish work. I will be sure to share extensively about my experience in this area throughout the years. Beyond these two responsibilities, there is always the responsibility to be “A Brother, Even When Busy,” as I’ve mentioned before. Simply put, we’re a fraternity, not a dormitory. There is a responsibility among each member to add to the life the community by attending prayer and meals, taking on house chores, and simply being present to one’s brothers in a fraternal way in whatever way that may express itself. Certainly is will be the busiest year (so far) when it comes to external responsibilities, and I hope not to place too lofty of expectations on myself and others, but it’s a value that must always be kept in mind. For now, I’m focusing on getting to know a new community, becoming acquainted with a new (and busy) city, and trying to get my year in order before it starts. 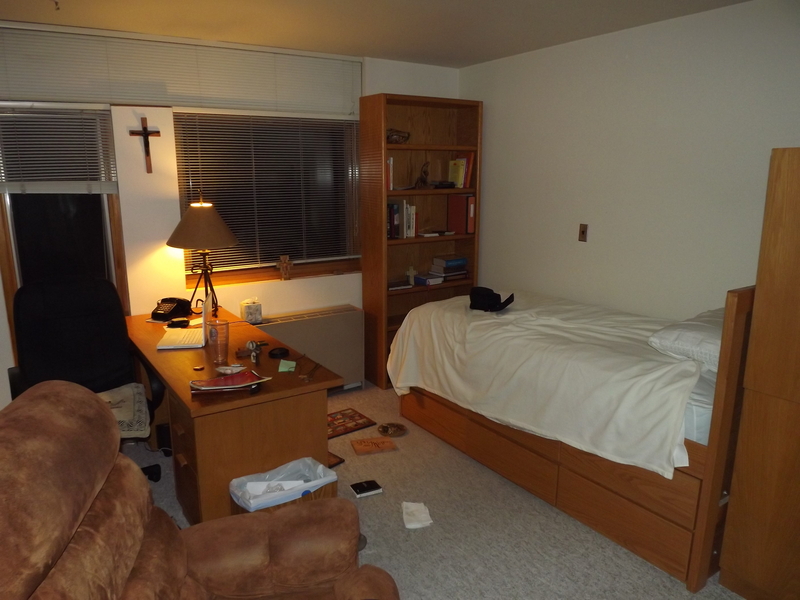 I will most definitely continue blogging along the way, continuing to share some experiences from my novitiate year along with new experiences as they happen, but their frequency may not be as regular as they were during the postulant year. I thank you for all of your continue support in prayers and affirmations, and ask that you continue to pray for me as this year gets underway. ← This Is Not What I Signed Up For!